“Metro is inviting the public to provide feedback on its proposed FY2018 Operating Budget, a proposal aimed at rightsizing rail and bus services to support current ridership, as well as the Capital Improvement Plan and Federal Grant Applications. The proposed $3.1 billion budget funds key safety, service and customer initiatives critical to reversing declining ridership and building a financially sustainable future for Metro. 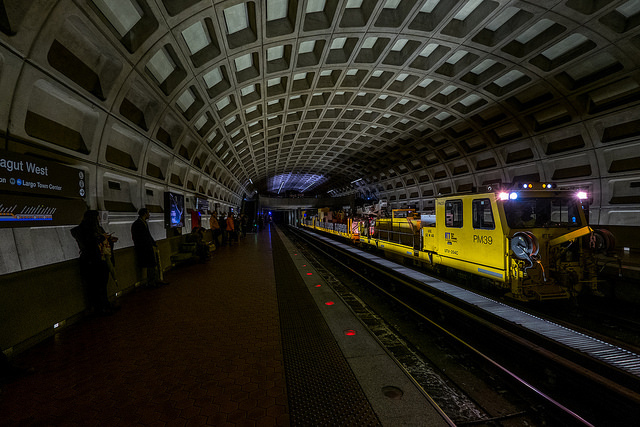 Following the year-long accelerated track maintenance program, SafeTrack, Metro will institute a new preventive track maintenance program in Fiscal Year 2018. In addition, a new railcar “Get Well” plan will address persistent railcar problems to help further reduce delays. Metro values the input of its customers and the Metro Board will take all comments into consideration prior to adopting the budget. Take a survey or provide written comment. The survey may also be downloaded, filled out and dropped in a survey collection bin near the faregates at any Metrorail station. Provide feedback to staff at Metrorail Stations Monday January 23 – January 30. * View here for a full list of locations and times. Attend an open house from 4:30-6:30 p.m. and public hearing starting at 5:00 p.m. Speaker registration is onsite only and will close at 9:00 p.m. The proposed budget seeks to close a $290 million budget gap with shared sacrifice between state and local governments, Metro personnel and customers. The proposal calls for the District, Maryland and Virginia to contribute a total of $130 million more than they did last year. Metro is also proposing $50 million in cost savings by eliminating positions and taking other cost cutting actions. Fares for riders would go up between $0.10 and $0.25 for rail and bus trips, while service is rightsized to fit current ridership levels. To view the full dockets and for more information about the operating budget, visit wmata.com/budget. The survey results, along with written statements and public hearing comments will be part of the official public hearing record and submitted to the Board for consideration and approval. Metro’s fiscal year 2018 budget and any approved changes would take effect in July. Speaker registration is onsite only and will close at 9:00 p.m. All organizations or individuals desiring to be heard with respect to these dockets will be afforded the opportunity to present their views and make supporting statements and to offer alternative proposals. Public officials will be heard first and will be allowed five minutes each to make their presentations. All others will be allowed three minutes each. These limits apply regardless of whether the speaker is addressing one or more dockets. Relinquishing of time by one speaker to another will not be permitted.